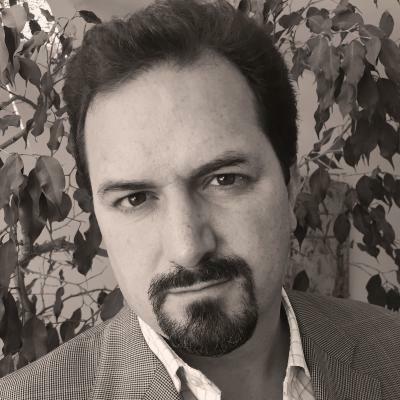 EXECUTIVE COACH -- Rodrigo Vázquez brings over 15 years of New Business and Product Development, Marketing and Sales, Alliances Development and Key Account Management experience to his Coaching practice. Rodrigo has worked for Fortune 100 companies such as American Express, New York Life and The Walt Disney Company and managed the Colgate-Palmolive key account at Firmenich. Rodrigo has worked with coaching clients from the US, UK, Italy, Turkey, Romania, Bulgaria, Brazil, Guatemala and Mexico which also include executives and leaders at all levels at L’Oréal, Tiffany & Co., BMW, Schlumberger, Saint-Gobin, EGADE Business School, Cosbel and City Express among others. He has also coached independent business owners and executives and has been invited for workshop facilitation and public speaking at 250+ audiences. Leadership and Communication Skills, Culture and Values, Teamwork, Motivation, Time Management, Public Speaking and Presentations, Business Strategy, Sales, Overcoming Challenges and Creating Breakthroughs, Leading Organization Change, New Leader Integration, Developing Effective Teams, Career Transition, Career Development. Expertise in New Business and Product Development, Alliances, Key Accounts Management, Marketing, Sales and Finance. Rodrigo has coached teams and executives from the automotive, hospitality, beauty, finance, petrol & gas, IT, jewelry and educational industries and NGO’s as well. Bachelors Degree in Business Administration, Universidad Anahuac (Mexico); International MBA, Nottingham Trent University & EAE (Barcelona, Spain); Coaching, Newfield Network (CO, USA); completing Master’s degree in Psychology, University of Santa Monica (CA, USA); Financial Services Specialist Diploma, The American College (Mexico); Science of Happiness at Work Accreditation, iOpener Institute (Oxford, UK); Postgraduate Diploma in International Administration, ITAM (Mexico); Postgraduate Diploma in Marketing, ITESM (Mexico); Postgraduate Diploma in Communication and Speaking Skills, CISLE (Mexico).